Welcome to OCAT, the Open Capture and Analytics Tool. 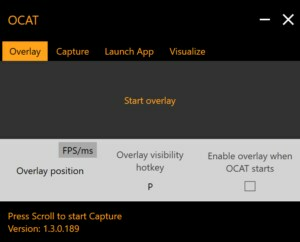 If you want to know how well a game is performing on your machine in real-time with low overhead, OCAT has you covered. It supports all major APIs on Windows – Direct3D® 11, 12 and Vulkan® – and can show an in-game overlay with the current frame rate to give you an at-a-glance overview of instantaneous performance. That’s good enough for a top level view, but OCAT doesn’t stop there. It also has a detailed analysis mode based on Intel’s excellent PresentMon library, which provides you with in-depth historical data captured across multiple frames, which you can look at offline to get a deeper insight into the runtime performance of games and applications on your system. 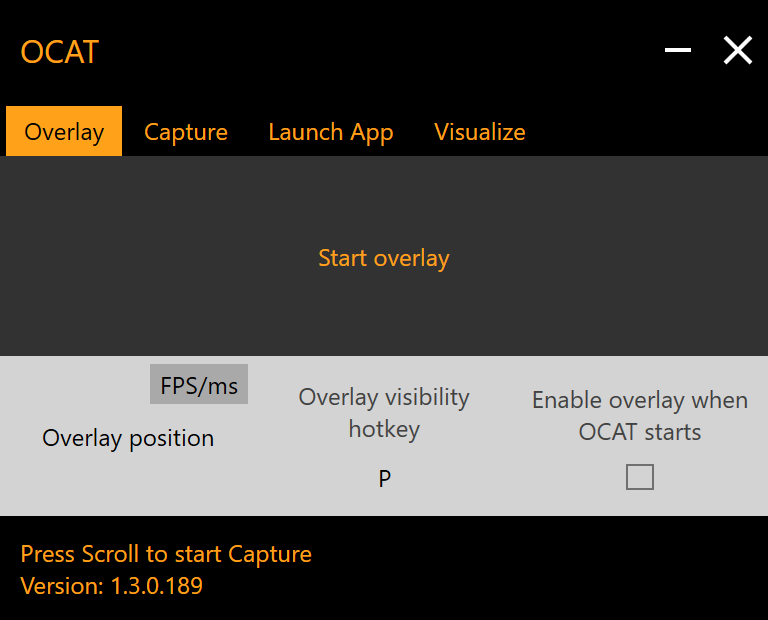 OCAT is fully open source and consists of several parts: the user interface, the analysis back-end, and the in-game overlays. You can trigger statistics recording via a hotkey, and you can configure OCAT to avoid drawing the framerate overlay on applications that might be using the GPU but aren’t games, like browsers. Development happens out in the open on GitHub, so if you want to help improve the code or report issues, head on over to the OCAT page on GitHub and get involved. There’s documentation to help newcomers get started building OCAT from scratch, and help from AMD engineers if you need it.